Helping children learn is every parent’s responsibility. Here are some tips and tools to help with math, reading, history, writing and much more. Helping children learn is far more fruitful when parents are actively supporting them. When you read with your children, help them with homework, chat with their teachers, and participate in school or other activities, you are providing your children a great opportunity. Our children are our future and helping them learn is not only up to their teachers but parents as well. 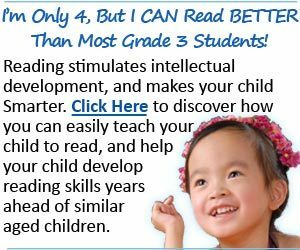 Helping Children Learn to Read – A guide for parents wanting to help their children learn to read, infancy to 6 years old. Checklists, children’s classics, activity books, coloring books, and other resources. Helping Children Learn to Write Well – A brief guide on how to teach your children how to write well and inspire them to express themselves through the writing. Helping Your Child with Homework – Simple steps you can do to help your child with homework and empasize the importance of school and learning. Helping Your Child Learn History – Tips and activities to help you and your family make the best out of learning history while having fun. Helping Your Child Learn Math – Math is an important part of everyday life. Encourage your child to succeed at math and make learning fun with these tips and activities.